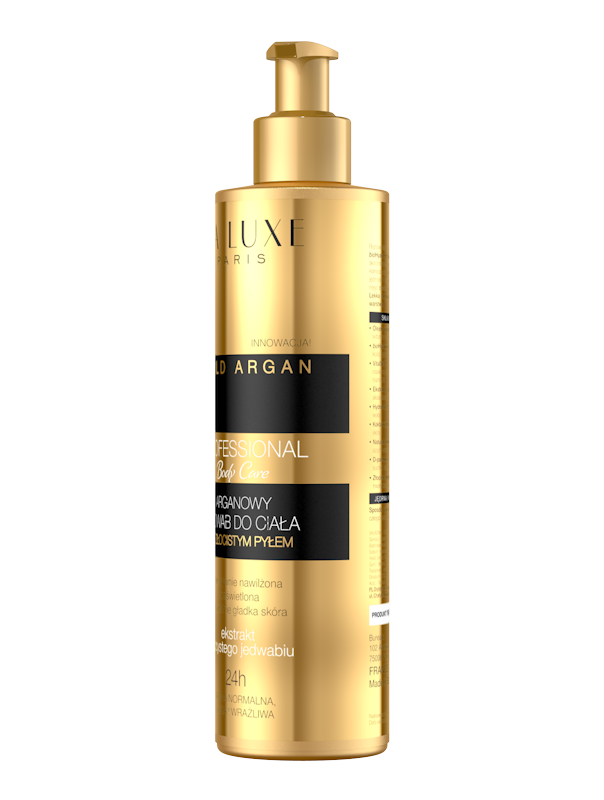 Shimmering, silky body balm with argan oil, bioHyaluron Complex™ and pure silk extract makes your skin instantly smooth and soft. 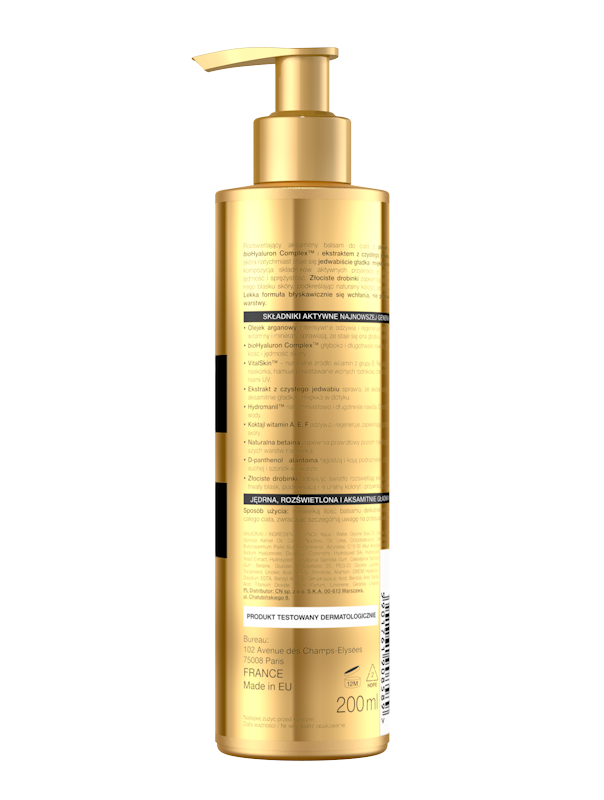 Unique compilation of active ingredients restores deep moisturizing, firming and elasticity. 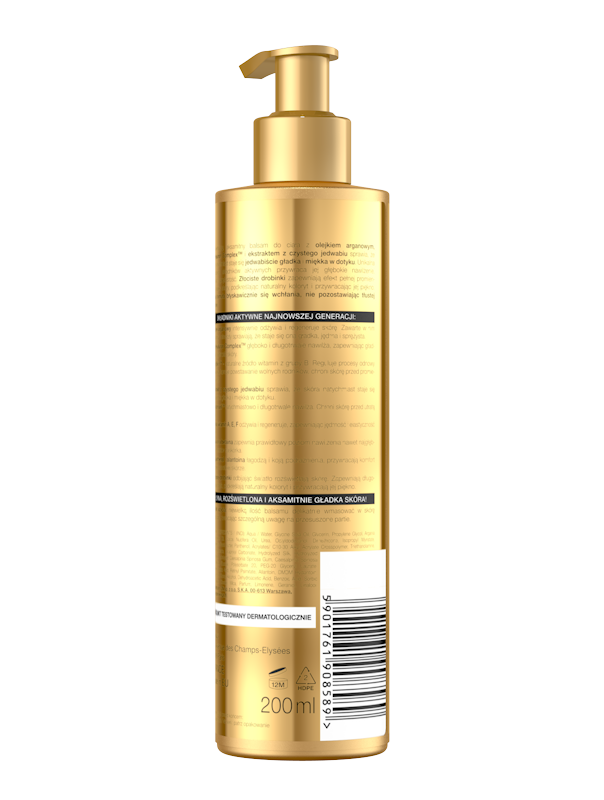 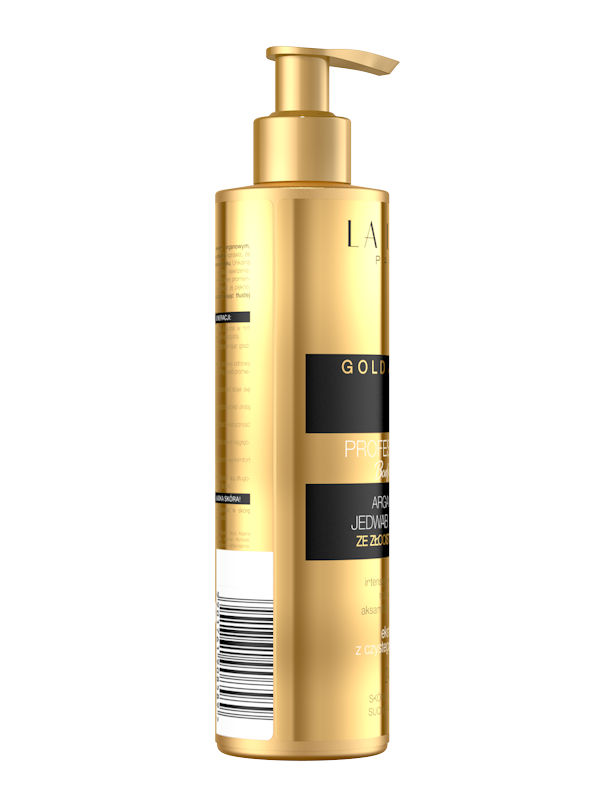 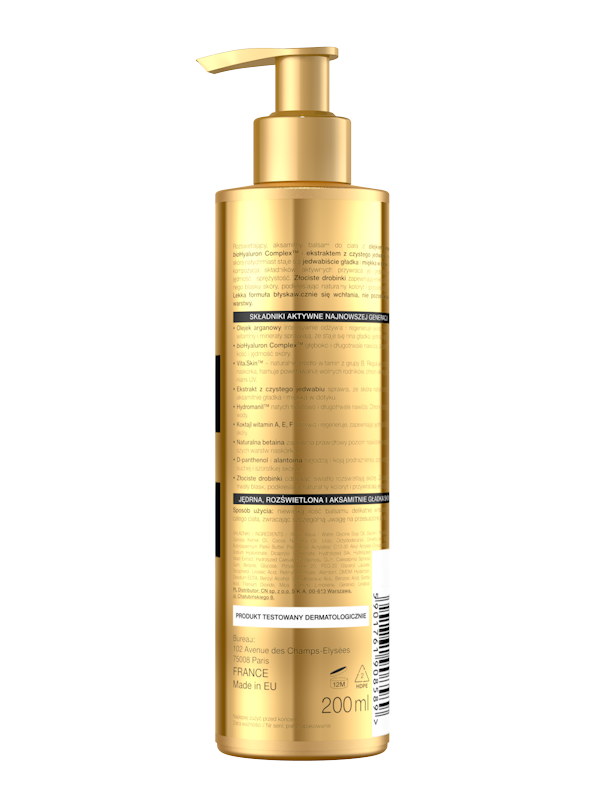 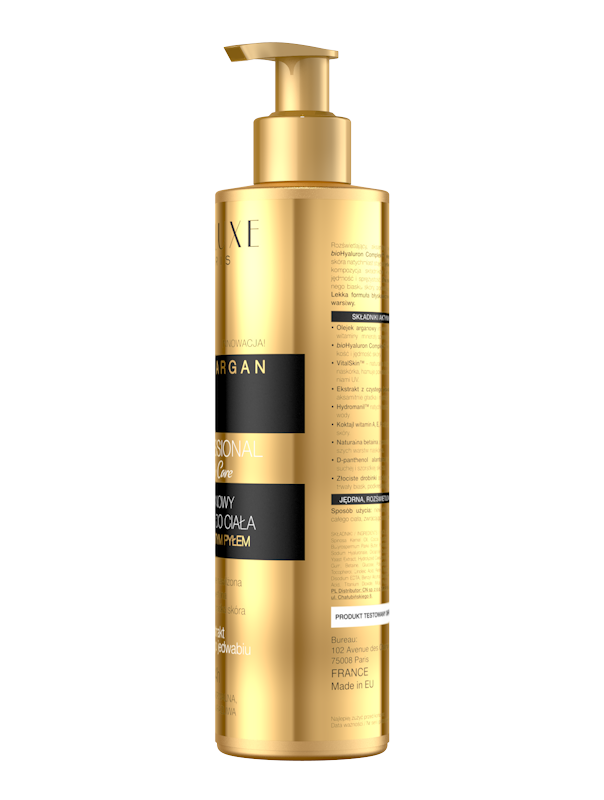 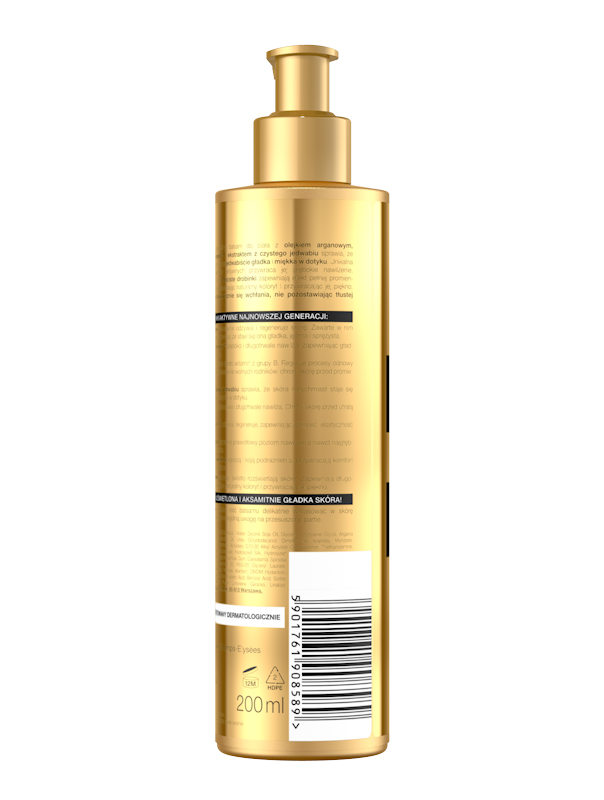 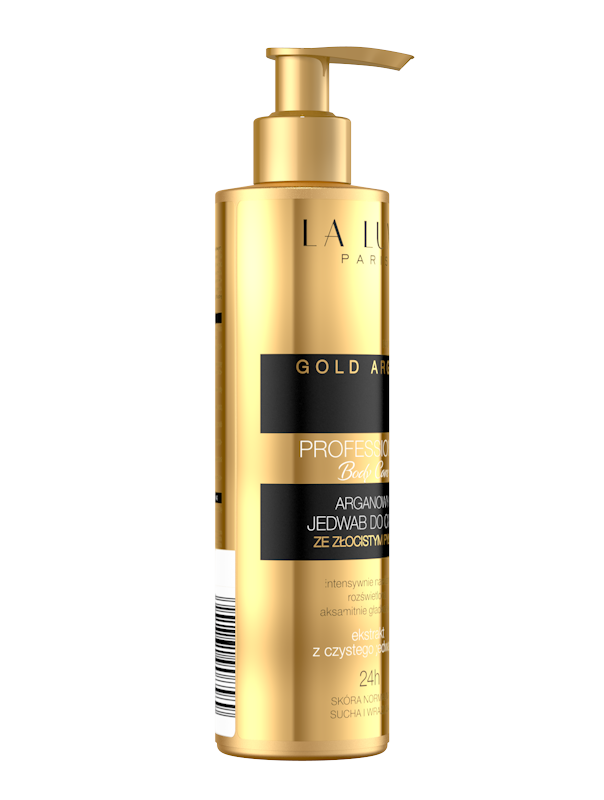 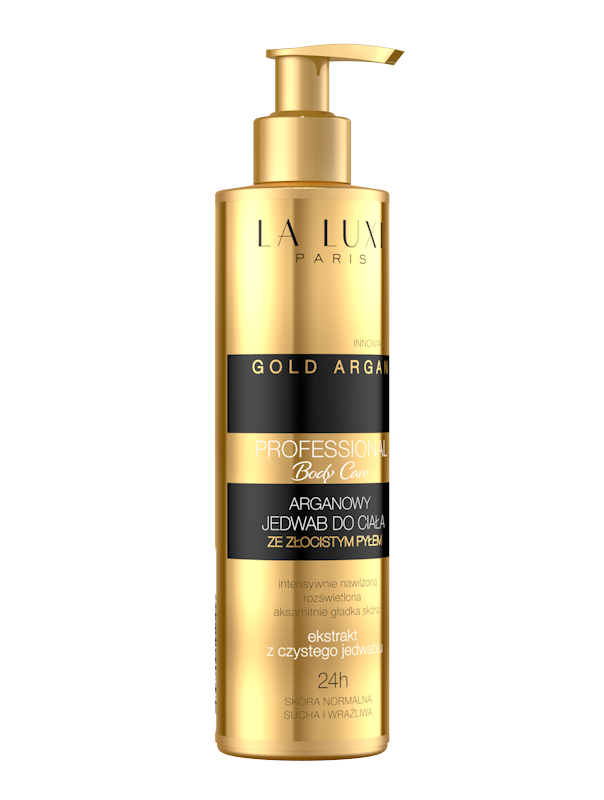 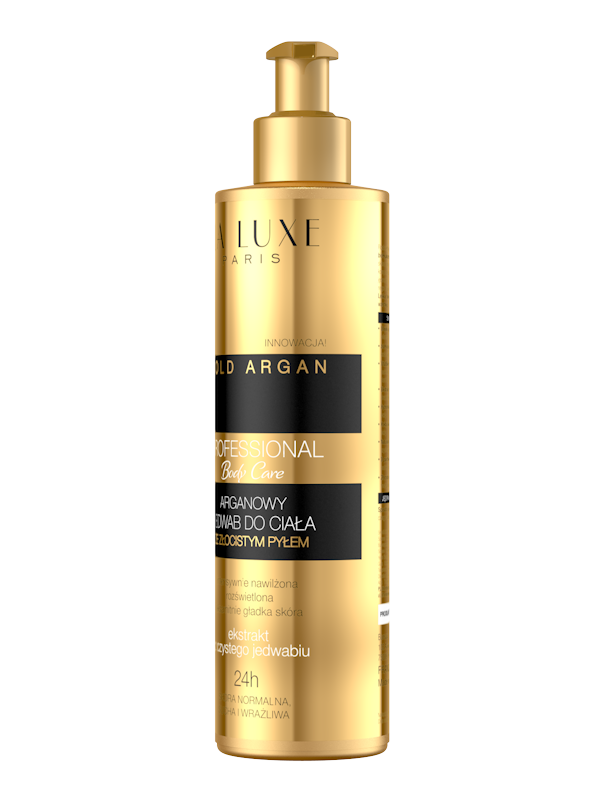 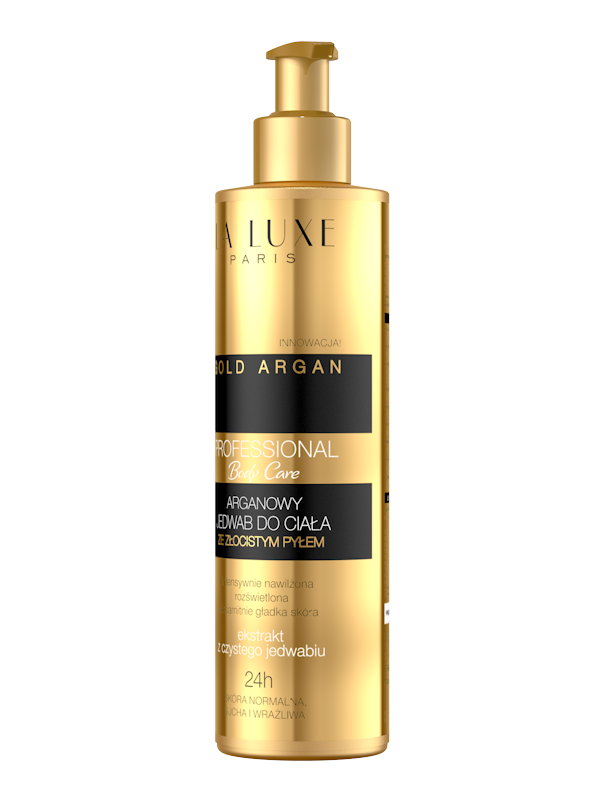 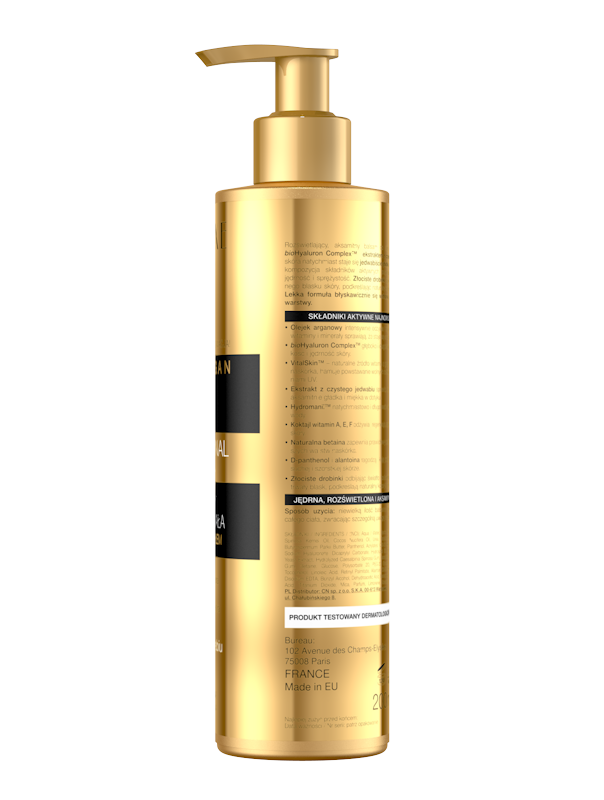 Golden molecules gives your skin radiance and restores its beauty. 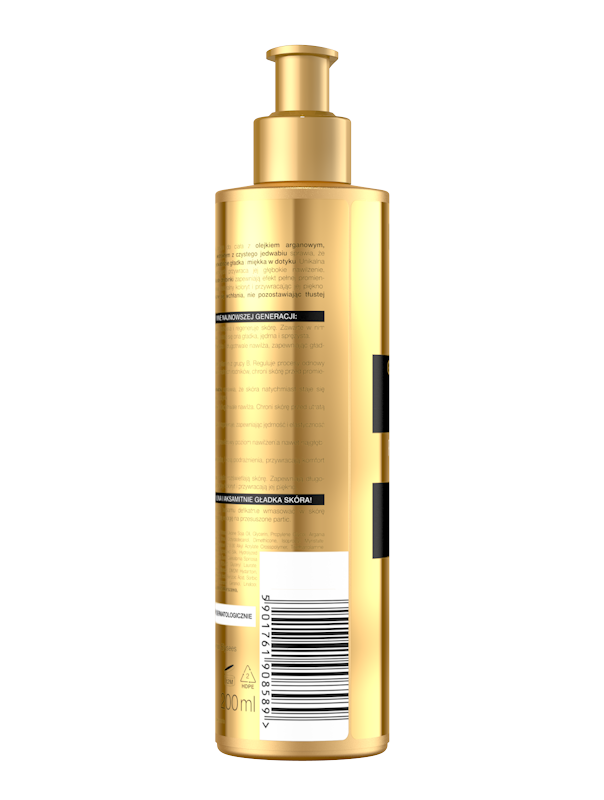 Light formula absorbs quickly and leaves your skin with no film. Golden molecules- diffuse light and brighten the skin; they provides your skin with long- lasting shimmering, emphasize skin’s natural ton and restores its beauty.